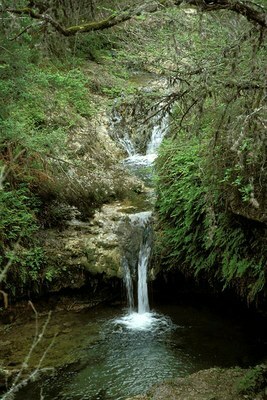 The state of Texas acquired Pedernales Falls State Park from private owners in 1970. The park opened in 1971. The 5,212-acre park sits along the banks of the scenic Pedernales River in Blanco County east of Johnson City. Formerly the Circle Bar Ranch, the area is typical Edwards Plateau terrain. Learn more about the history of this area in Farmers, Ranchers, the Land and the Falls: A History of the Pedernales Falls Area, 1860-1970.